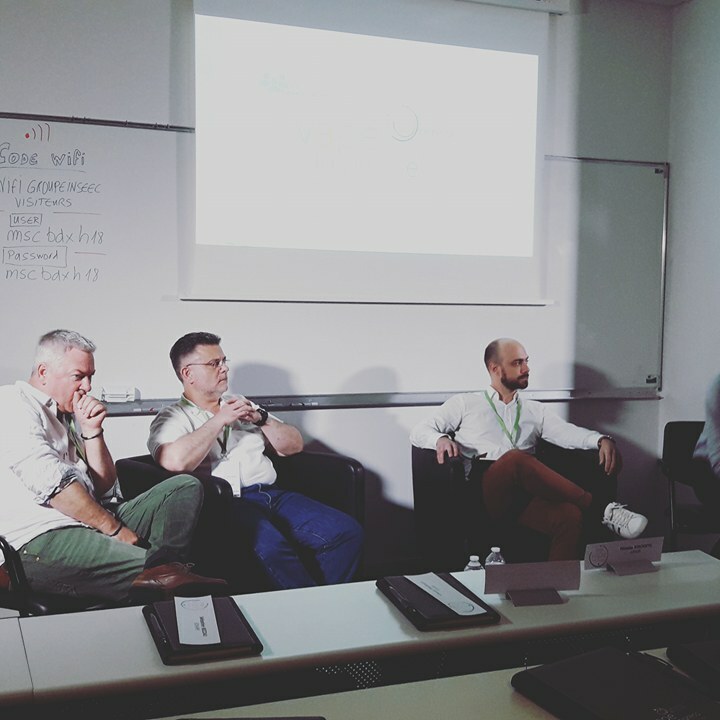 A few days ago was held at the Inseec de Bordeaux the very first edition of the Open Forum « Vape In Progress Organized by the Fivape (Interprofessional Federation of the Vape). As you can see, the editorial staff of Vapoteurs.net was obviously on hand to cover the event. After having dropped the excitement of this Open Forum we propose today to take stock. INAUGURATION OF THE "VAPE IN PROGRESS": AN INTIMATE EVENING AND STRONG SPEECHES! Just like the other partners of this open forum « Vape In Progress", The writing of Vapoteurs.net was invited to the inauguration party. On site speakers (including Dr. Dautzenberg), industry professionals but no journalists (except our team obviously). This inauguration took place on the terrace of the Inseec de Bordeaux, a place conducive to relaxation facing the banks of the Garonne. It will be followed by Jean Moiroud, president of Fivape and by Claude Bamberger, President of AIDUCE (Independent Association of Electronic Cigarette Users). HOME OF THE "VAPE IN PROGRESS": A DAY TO ADVANCE THE VAPE SECTOR! 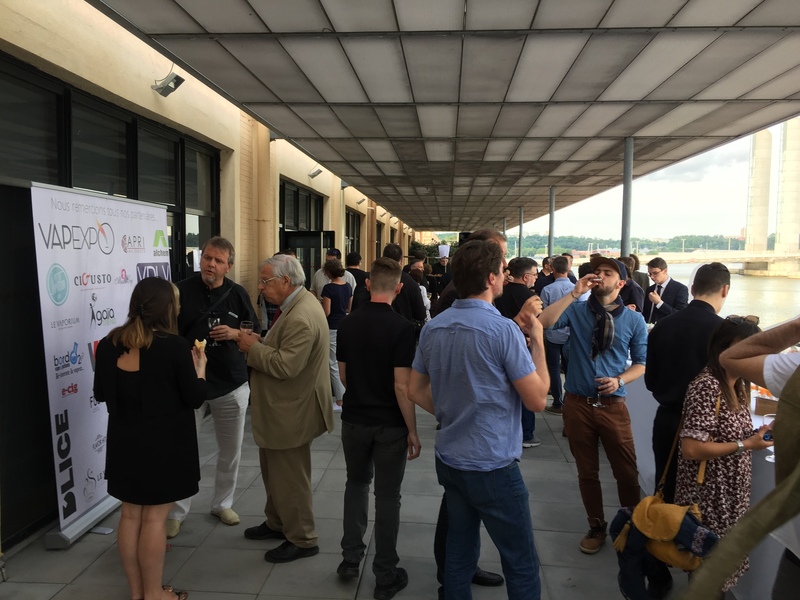 The Monday 28 May, it is the day "J" and the drafting of Vapoteurs.net arrives at the Inseec de Bordeaux for this first edition of " Vape In Progress". After recovering our badges of access we are invited to take a coffee, it is also the opportunity to meet the various actors of the day and to gauge a little the public present for the event. If this open forum is not a living room of the vape, we realize nevertheless that it is important for professionals who have moved! If the journalists were not at the rendezvous largely because of the strike SNCF, a large panel of auditor moved to learn more about this vape industry. There were e-liquid manufacturers, shop owners, outside people involved in health care, but also the tobacco industry (with Imperial Tobacco or British American Tobacco). The conferences and debates will take place in an amphitheater of Inseec perfectly adapted to the event. Notepad, pens, microphones and overhead projector, everything is ready for this " Vape In Progress "Happens in the best possible conditions. The room is busy and it is high time to start the debate to advance the vape industry. A PROJECTION OF "BEYOND THE CLOUD" AND THREE ENRICHING CONFERENCES! 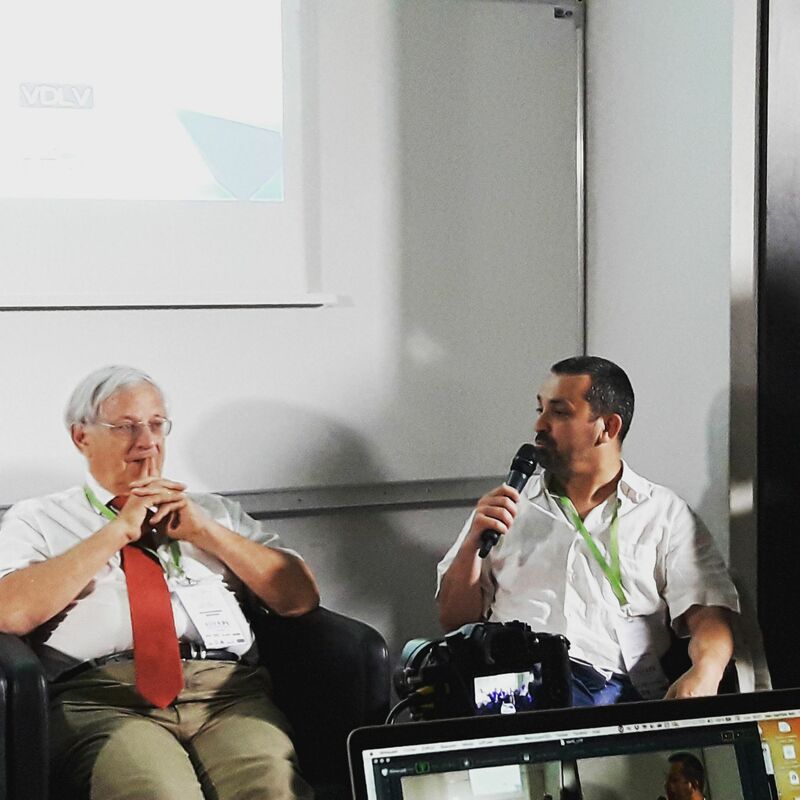 This first edition of Vape In Progress opened with a speech by Mr. Laurent Bergeruc, Director of INSEEC Bordeaux who kindly agreed to host this event. This continued with the release of the short version of the documentary " Beyond The Cloud " realized by Ghyslain Armand and produced by Patrick Bédué. 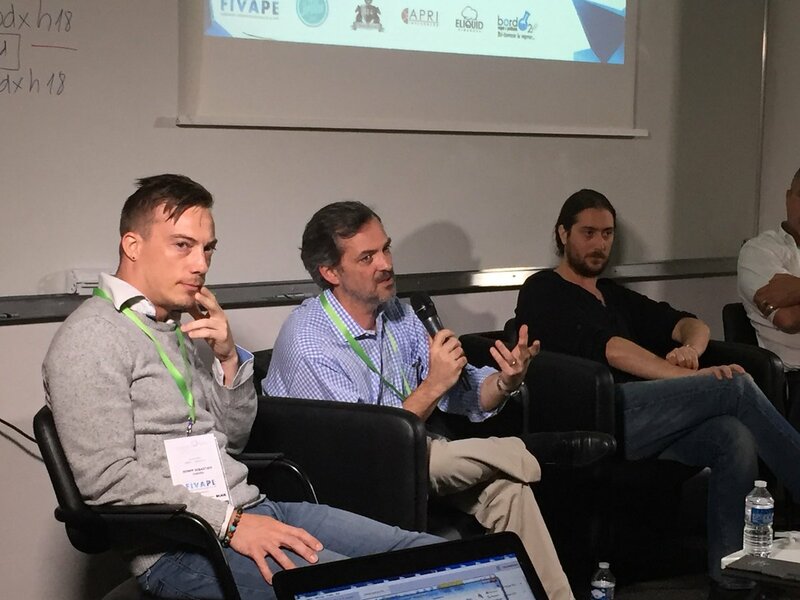 During his speech, Ghyslain Armand declared " Getting to explain the problem of the vape in 1h is complicated. »Clarifying the interest of the project:« summarize the information that is conveyed during the Vapexpo ». The vape in France: the affirmation of a know-how. The first conference of the day was an opportunity to show how the protagonists of the vape market have structured themselves to bring this innovation into the complex and traditional framework of institutions and improve the security of devices. The entire conference is available in an episode "Hors-series" of Podvape. Pros and consom'actors: which ecosystem ? 14h00 started the second conference of the day. Few resources and a few years were enough to bring experts, business, jobs, new markets to commercial service companies, industrial, logistics, and many others. The interest of this conference was to learn more about the functioning of this ecosystem. Fabien Brassie (Gerant Cigusto Pessac) " A seller who has not experienced the smoking experience will be in trouble. " Christophe Carvounas (The OLF Vapelier): « Regarding tobacconists, the important thing is to meet the expectations of consumers. " Vape, health and the economy: what stakes for tomorrow ? After a well-deserved break, the last conference for this "Vape in Progress" started. The opportunity to take stock of the health aspect of the sector vape and talk about what is happening in the UK at this level. 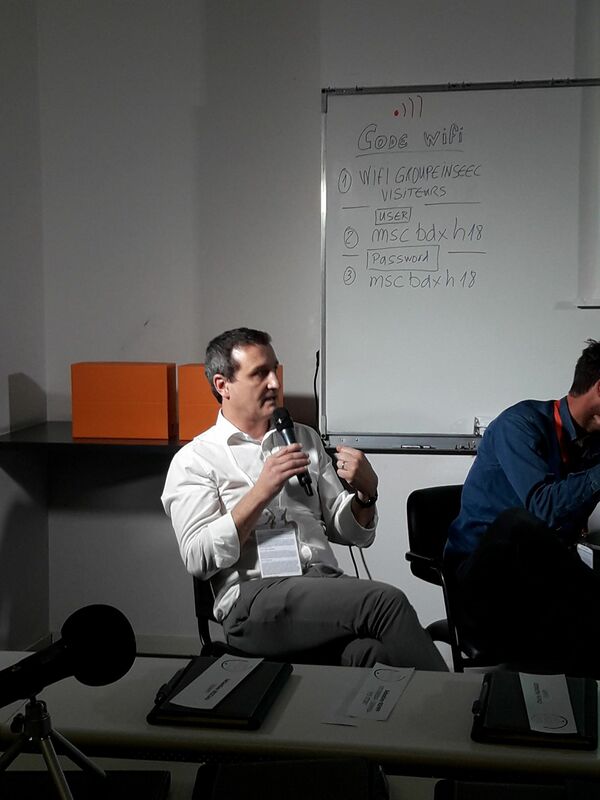 THE DEBRIEF OF CHARLY PAIRAUD, ORGANIZER OF THE "VAPE IN PROGRESS"
In order to close our assessment on this very first edition of the open forum « Vape In Progress", We decided to leave the word of the end to Charly Pairaud, organizer and board member of the Fivape. Charly, have your expectations for the "Vape In Progress" been met? Can we say that the event is a success ? - Professionals of the vape understood that our professional representation must also be based on our economic weight (jobs, turnover, prospects ...). This is leveraged in the ambient speech about the vape and all the protagonists in direct and indirect contact with the electronic cigarette market. Have you had any feedback from the Vape In Progress partners? ? On the whole they are satisfied by this first and think, like us at the Fivape, that this is the instant T0 (zero) of the economic observatory of the vape. They also want to generate "data" to finally seduce the press and institutions. Indirect actors have hoped to continue these exchanges which help them to build their strategic development. Can we now consider a new "Vape in Progress" ? If yes, or and when ? More than ever, we need the T1 moment of VIP with socio-economic data, but also beautiful stories to tell, the dream to share and the desire for growth to imagine together. The question of the independence of the vape was at the heart of these debates, and our liveliness should allow to preserve this advance that we have in France so that this know-how suggests even better prospects for all the employees and entrepreneurs of this sector. . A second edition is under study but the place and the date are not defined at the moment ... This will certainly be announced at the next Vapexpo. To learn more about the open forum Vape In Progress go to the official website. Previous: VAP'NEWS: The e-cigarette news for Monday 18 June 2018.